Maj Gen Sibusiso Moyo in a state broadcast said the military has taken over as they “target criminals” around the head of state. The political crisis in Zimbabwe has taken a new twist as the military stepped in to take over early on Wednesday. He assured citizens of the safety of 93-year-old president Robert Mugabe and his family members. 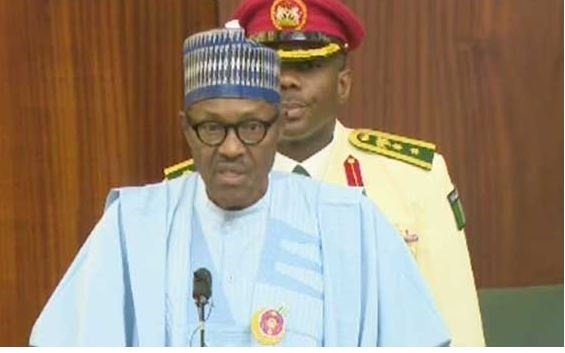 While speaking on the situation, President Buhari, a former military general himself, urged all political and military stakeholders in Zimbabwe to avoid any action that may plunge the country into unnecessary conflict and impact negatively on the region. According to him, every attempt must be made to resolve all contentious issues through constitutional means to save the country from avoidable political instability. The military move was sequel to Mugabe’s recent removal of former Vice-President, Emmerson Mnangagwa, who on Wednesday returned from South Africa where he fled weeks ago.